Ordered by Beatrice for lil' Shannon's 6th Birthday... Happy Birthday Shannon & thanks yung! 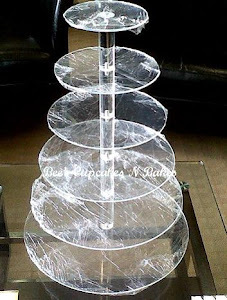 A see through maypole cupcakes stand.